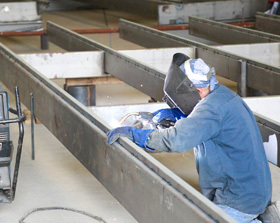 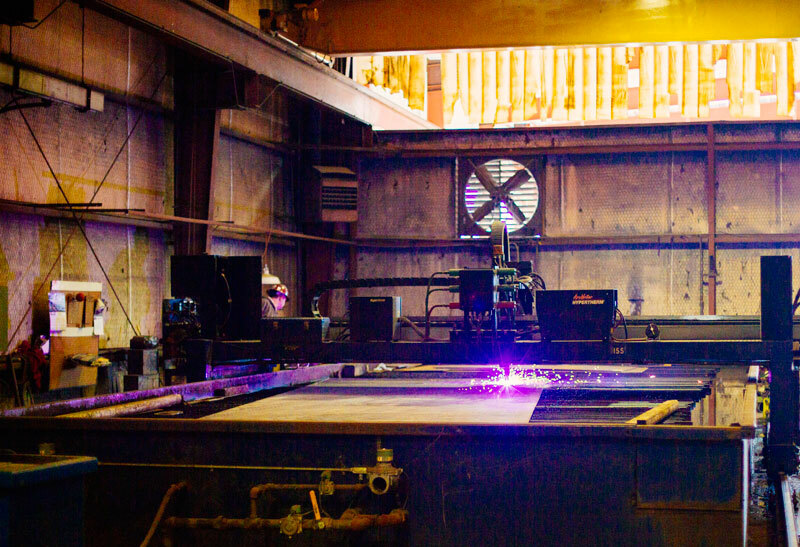 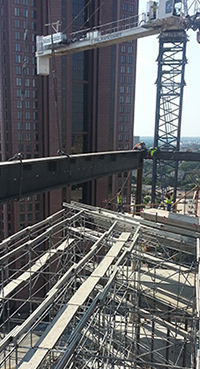 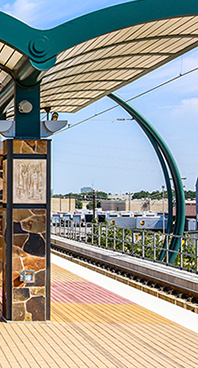 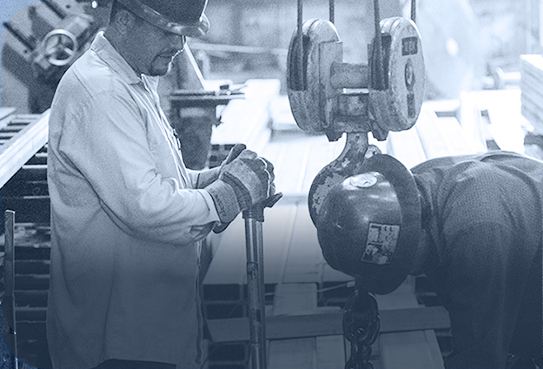 American Steel & Aluminum Co., Inc. produces all their work from two facilities located on an 8-acre track of land in Grand Prairie, Texas. 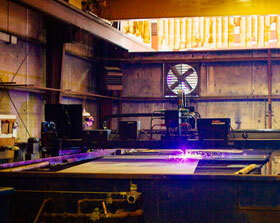 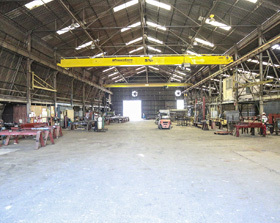 Shop #1 is a 40,000 square foot office and two bay production shop. 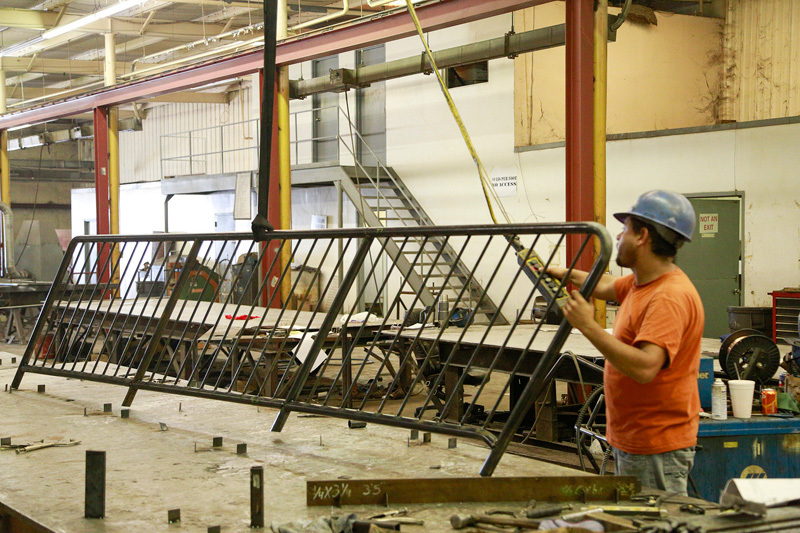 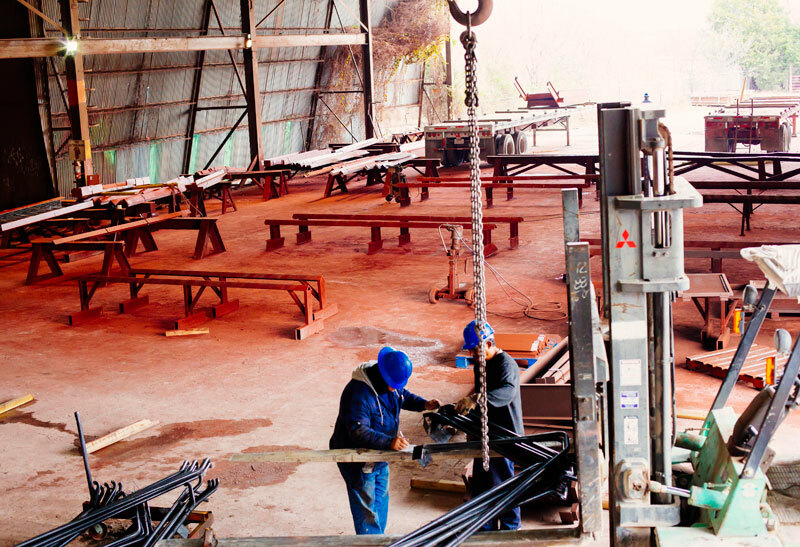 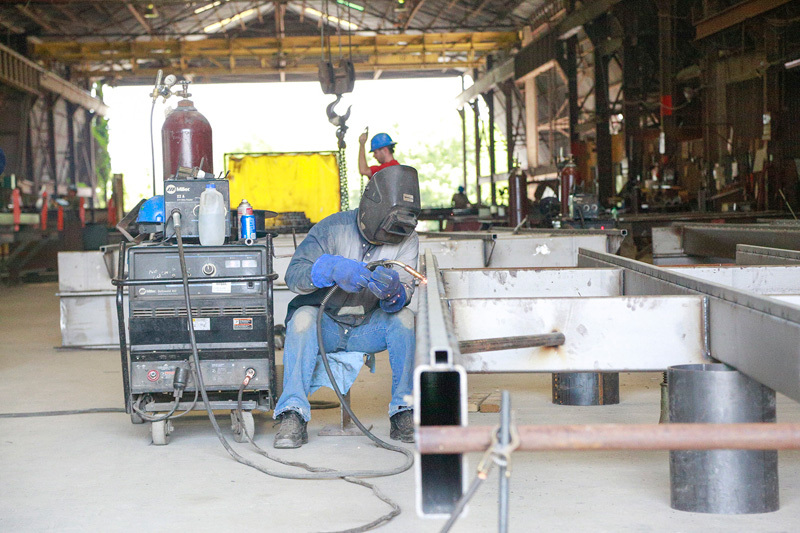 One bay produces our ornamental handrails and much of our AESS steel fabrication with special welding machines, metal saws, handrail pipe benders, copers and finishing equipment. 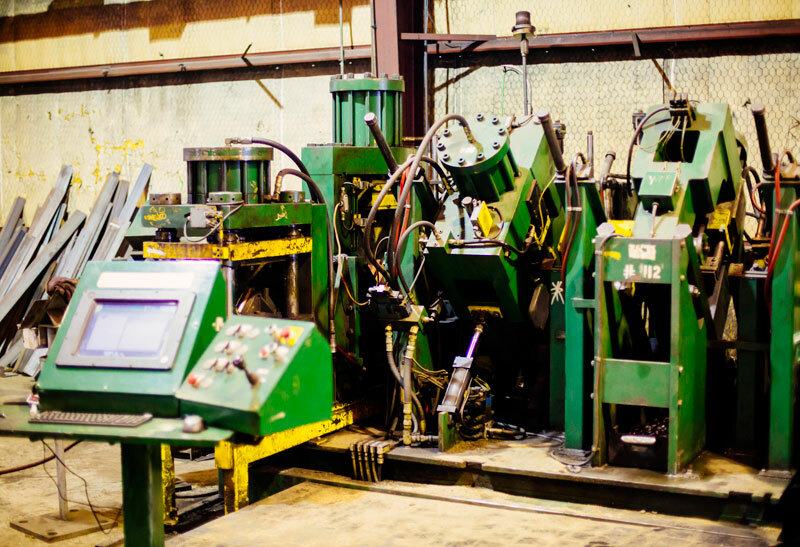 The other bay processes parts for our assembly shop, using CNC equipment such as angle/flat bar line, plasma cutting, drilling machine, sheet metal shear and press brake, etc. 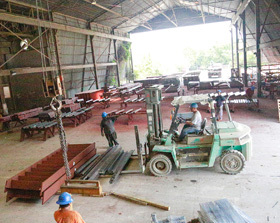 Shop #2 consists of 60,000 square feet in three bays with loads of outdoor storage for stockpiling materials. 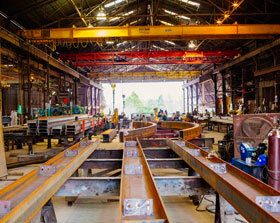 This is our structural and misc. 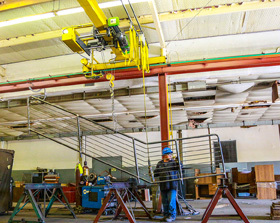 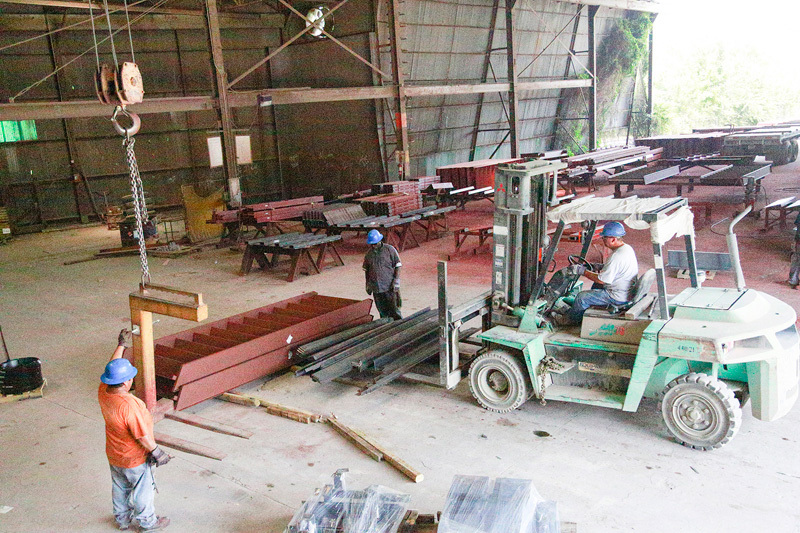 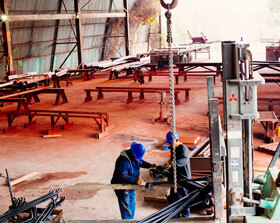 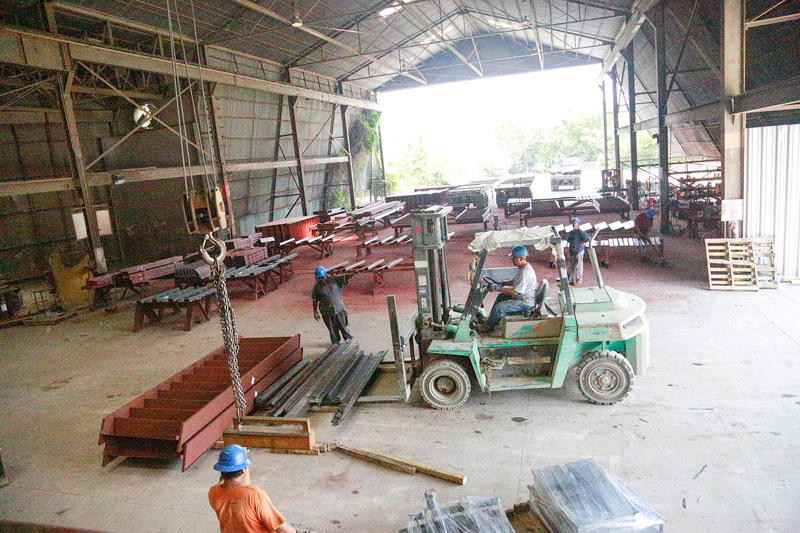 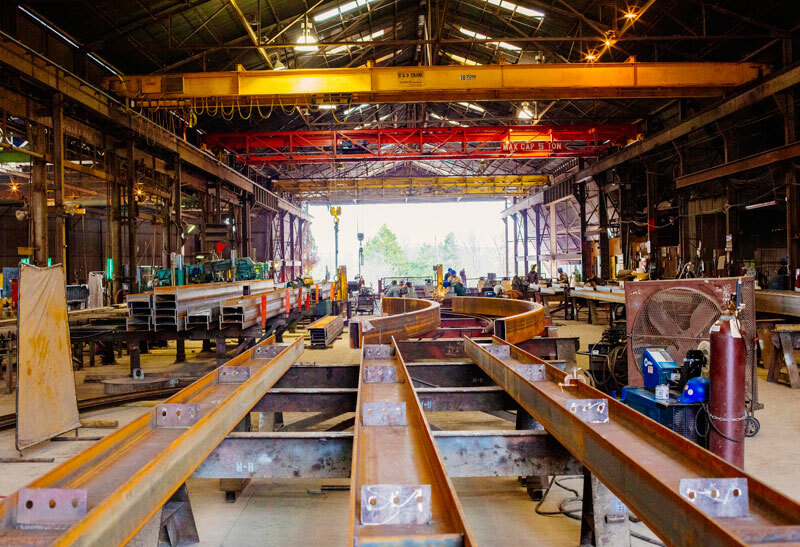 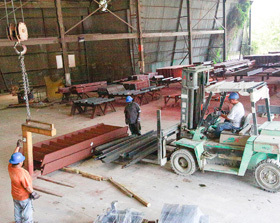 steel assembly shop. 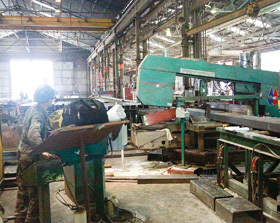 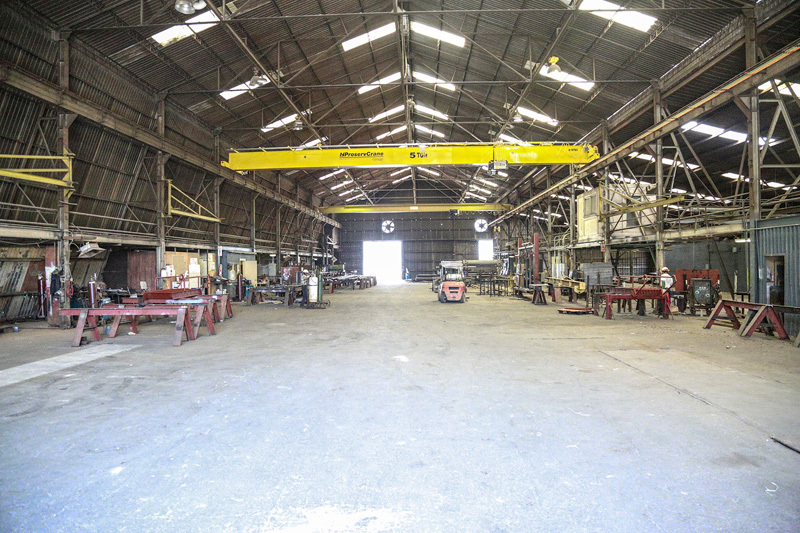 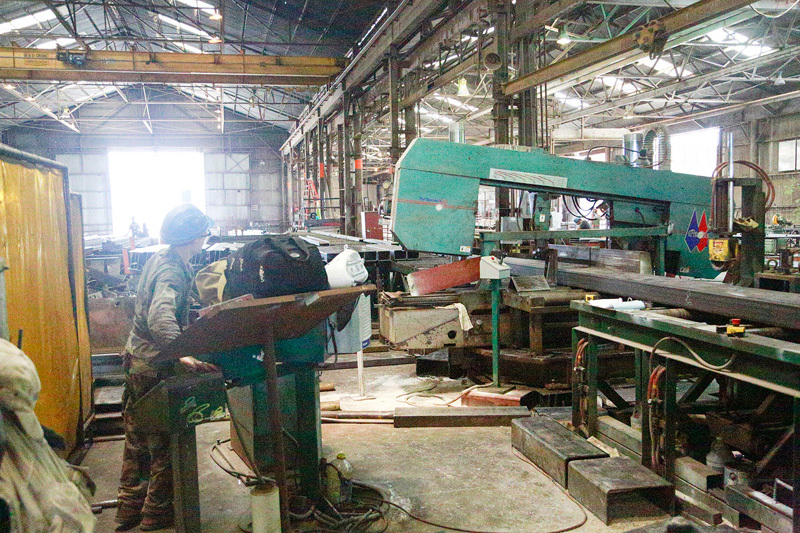 It is equipped with 10-ton overhead cranes, heavy welding equipment, a CNC beam punch line, a 42-inch capacity bevel-cutting band saw and cleaning/painting equipment. 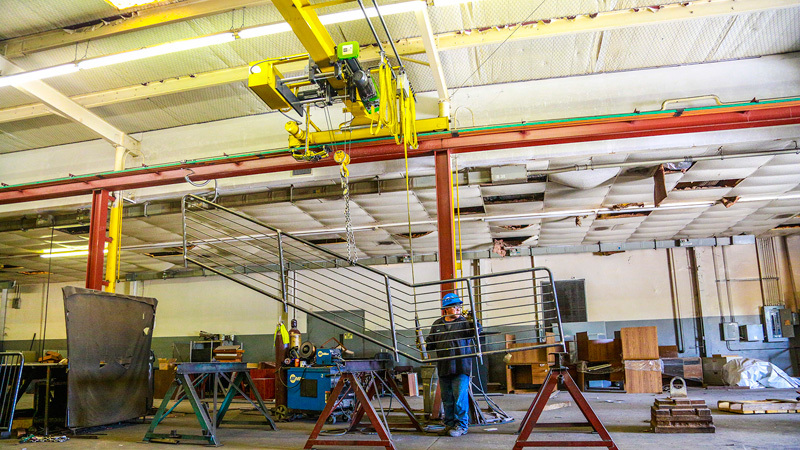 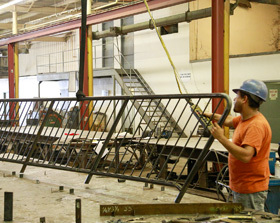 Shop #4 is a 35,000 square foot shop specializing in stairs and handrails. 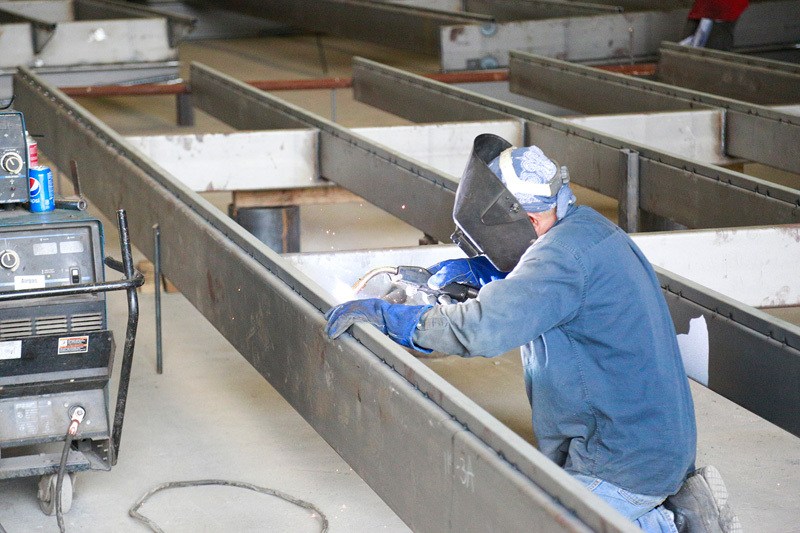 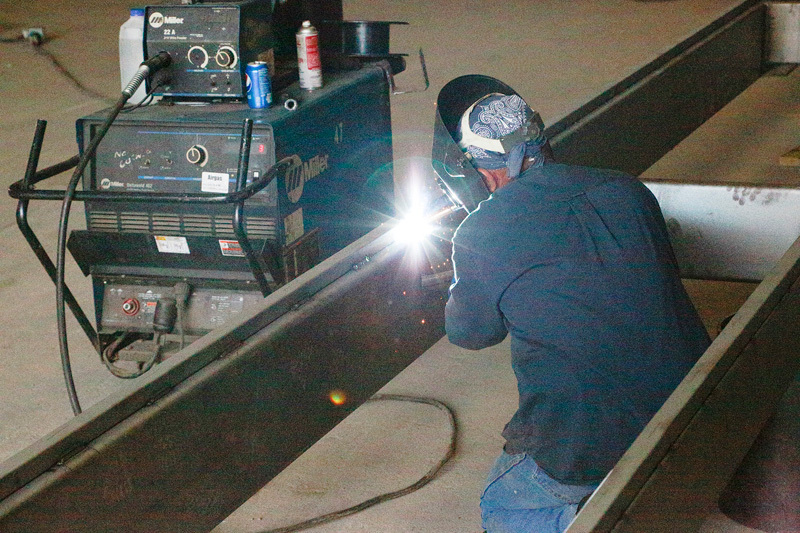 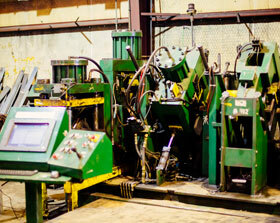 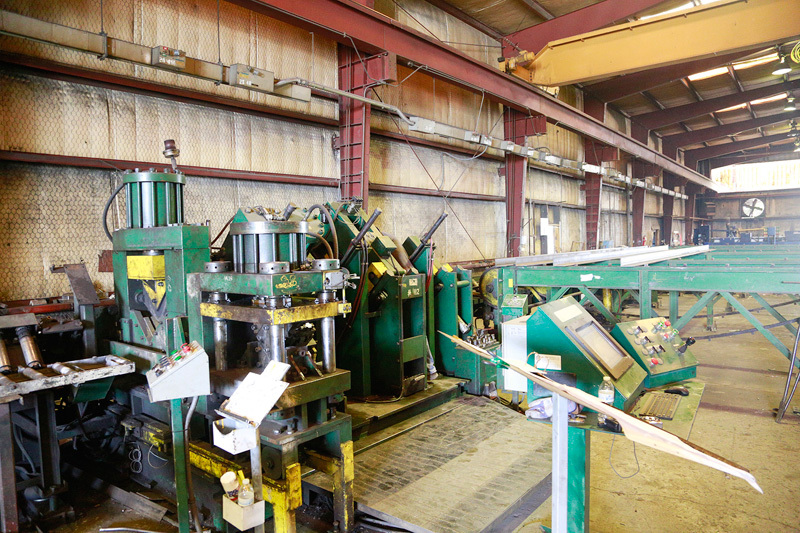 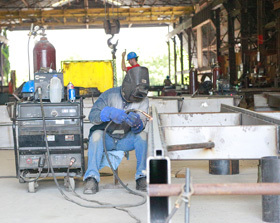 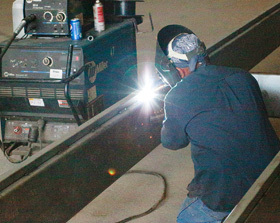 Shop #5 is a 15,000 square foot shop that includes preparation and finish. 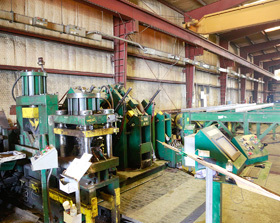 All facilities total 150,000 square feet.